There’s the “old” way and the “new” way. I’m suggesting an uncommon approach to find your perfect reader, pull them towards you and your books, and convert them into lifelong fans. Scroll down or click the button to read more. Using an automated process to attract the RIGHT readers, nurture and build your brand, and sell the VALUE of your work without being sleazy or scammy. Now, the devil is in the details. And before I show you the full process, I want you to understand the strategy (remember that? The strategy is what helps you understand what “tatics” you need to focus on to move the needle). None of this makes the blindest bit of difference if nobody knows you exist. Your goal is to get your work in front of as many people as possible. Then, when you have steps (2) and (3) set up, you’ll convert those “random browsers” into fans and paying readers. The goal here is brute-force publicity – worry about the “sales” later. Write as many books as possible. Split your longer books up into “parts” to get more titles on the shelf. Enroll everything in KDP Select. Pad out your books with extra content to get more “page reads”. Put all your money into AMS Ads, Bookbub Ads, and Facebook Ads and send as many people to your Amazon pages as possible. Retarget those people who visit your website with relentless ads. Join scammy giveaways where readers are forced to hand over their email address to 10 authors at a time. Then hammer those readers with relentless “buy my book” emails. Woohoo!!! Your ranking just went up. Success! Break out the champagne. Errr… cool your jets, hot-shot. Because 85% – 95% (or more) of the people you’re paying to visit your Amazon pages WILL NEVER BUY FROM YOU. Your multi-author-giveaway leads are fed up with being spammed and will quickly unsubscribe. Your readers are fed up with books being arbitrarily broken up into “seasons” and “episodes” – and only 50% of them will ever finish one of your books anyway. In short, you’re paying good money to throw the proverbial spaghetti against the wall and hoping enough sticks so you’ll make a profit. Occasionally, something might work well – but you’re so overwhelmed with a million different tactics, you’re not sure what is was (remember that saying “only 50% of marketing is effective, the problem is we don’t know which 50%”?). 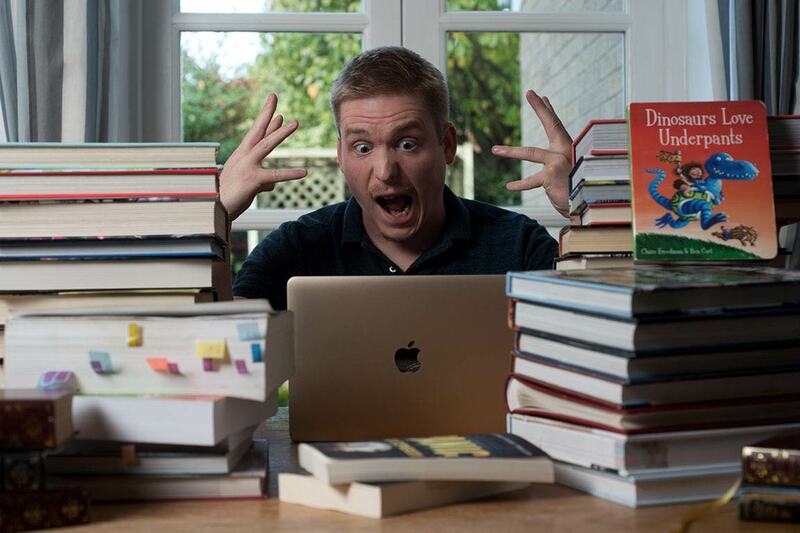 If you’re losing up to 95% of your potential readers – AND you’re going crazy trying to keep on top of everything – how do you plan on growing profitably? There’s a story behind all this. And the twist ending is an audience of readers who WANT to hear from you and who WANT to buy your books. We’re taking the conventional “brute force” approach and turning it on its head. Instead of trying to CONVINCE readers to buy your work, all you’re doing is talking to the RIGHT readers in the RIGHT WAY and making the VALUE of your work shine through. You’re not trying to “trick” or “force” or “bribe” people into buying your books. Your cultivating an audience who LOVES you and letting their excitement and desire do the work for you. This is exactly how you can build a sustainable business without relying on massive ad-spend or brute-force tactics.